Nearly 3 years ago and 7 months into their marriage, Lane & Emily were in a life-changing auto accident while traveling to NC to visit Lane’s family. 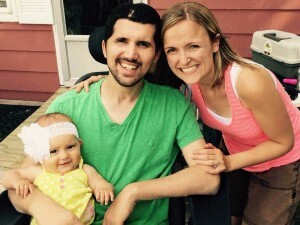 While Emily was spared serious injury, Lane suffered a severe traumatic brain injury. With his disability comes need for specialized housing, which is what they’re currently working to raise money for. Thanks to our generous owners we were able to donate $1300 toward their new home! To see more about their story or to help the cause yourself, watch THIS VIDEO or visit THIS WEBSITE! Have a suggestion for our next Random Act? Fill out the form below!